Visit us in Irvine, CA! Visit us in Sonoma, CA! 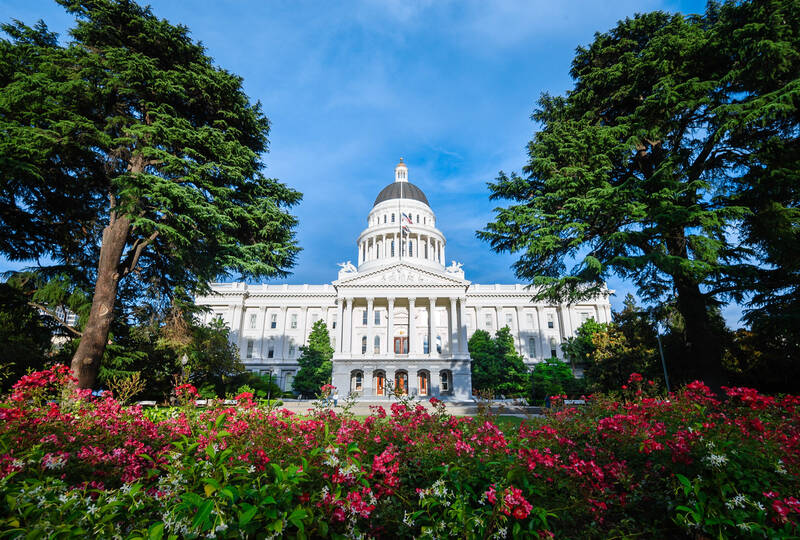 Keeping you on top of the latest news in the industry as well as CCIS events and networking opportunities throughout California. CCIS supports and promotes the interests of teachers, counselors, administrators and paraprofessionals working in K-adult independent study. 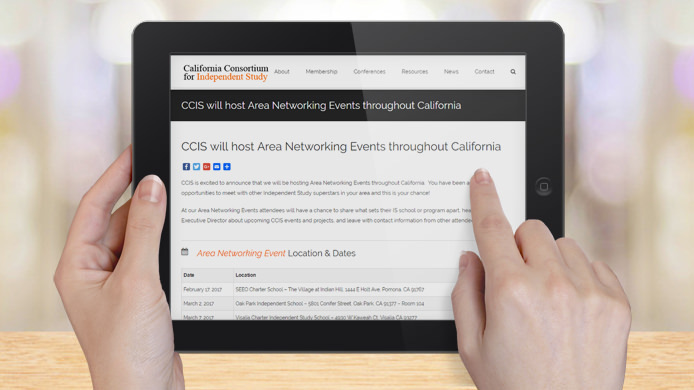 The California Consortium for Independent Study (CCIS) is a voluntary membership organization comprised of teachers, administrators, and counselors who serve independent learners in California’s public school system. 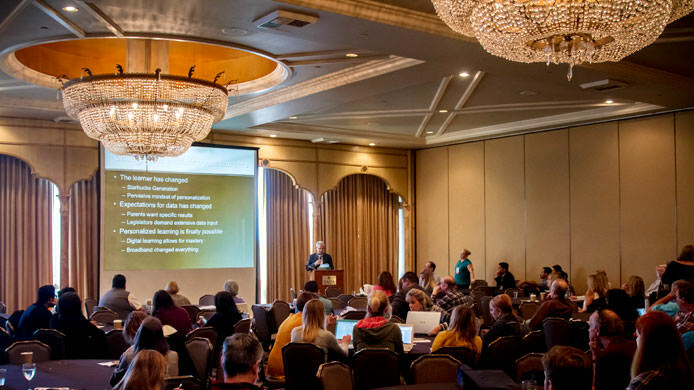 As a consortium, we represent over 300 independent study schools and programs across the state which provide preschool through adult educational programs to over two-hundred thousand learners. Become a CCIS Member Today! 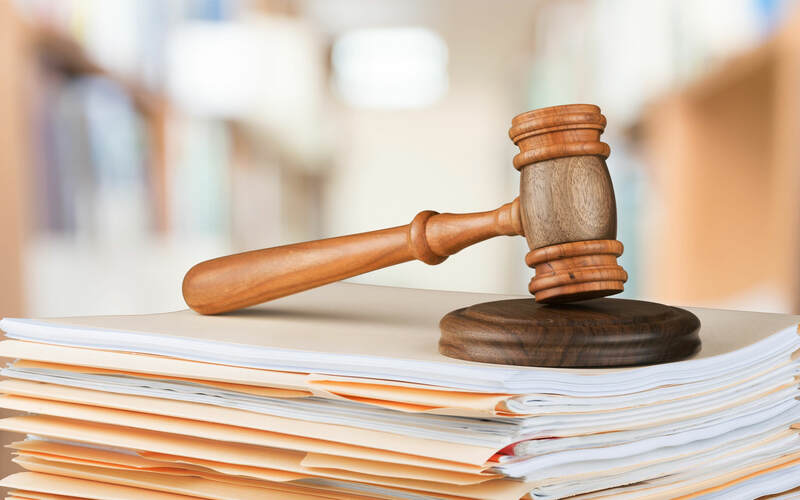 Pick up the most recent Compliance Manual and learn the most up-to-date information to ensure your program is legally compliant and audit-ready. Conference workshop presenters share practical tips and tricks specifically intended for the Independent Study teacher and leader. Barrett Snider, advocate for CCIS, shares the latest information coming from Sacramento and how it could impact your program. Conferences are a great place to make connections with other Independent Study programs and learn about innovative products from vendors. Gain Advantages of CCIS Membership Today!